Open the Pegasus email application. Click the "Tools" menu and select "Internet options...". 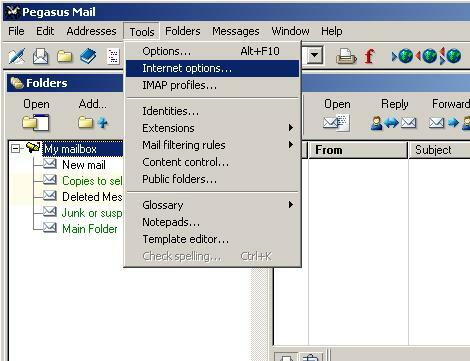 Select the "Sending (SMTP)" tab at the top, select the mail server your account uses and "Edit...". Select the "Security" tab. 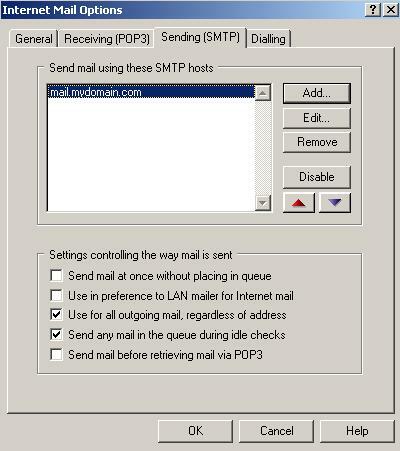 In the "SMTP Authentication" options on the bottom half, ensure "Logon to the SMTP server using a POP3 username/password" has a check mark beside it. You may have to select which account information to use if you have multiple accounts setup by clicking on the "Select..." button. Click "OK" at the bottom of the window, and click "OK" at the bottom of the next window.